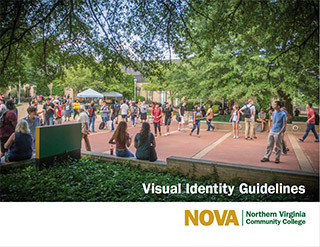 NOVA's Office of Marketing & Creative Services promotes public awareness of the College's mission, goals and objectives. The Office of Marketing and Creative Services promotes awareness of the College by providing integrated campaign development including college-wide branding, academic programs and college events. The Marketing and Creative Services team produces quality collateral and high-impact advertising that executes our clients’ marketing goals utilizing print, broadcast and web media. Establishing and communicating a clear and compelling brand helps people associate the NOVA name with credibility and quality. In this electronic media age, when managing perceptions is especially challenging, using the brand marks in a consistent manner helps to establish a strong, substantial and distinctive identity for the College, wherever and whenever they are seen.